Nebraska is located on the Great Plains in the Midwest. The name of the state comes from the words of the American tribe Otoe: “Ñí Brásge" meaning "flat water". In the not that remote past the region was inhabited by Native American tribes such as the Omaha, Missouria, Ponca, Pawnee and the Otoe. The largest city in Nebraska is Omaha, located on the banks of the Missouri River. The state has rich history, mostly from the time of the California Gold Rush, when many new settlers came to this area. Despite the gold rush, today Nebraska is still a 9-th least-densely populated state of the United States. The area is in proximity of the Niobrara River which offers a great opportunity for bird-watching. 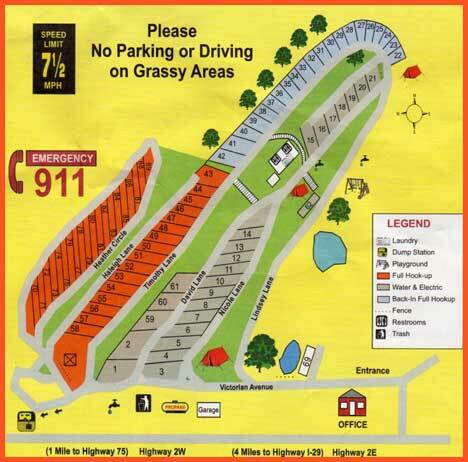 Like the name suggests, Holiday RV Park Campground is a great grassy place for spending your holiday. It is located in North Platte. Holiday RV Park Campground has 30' x 70' pull-through sites with 30 & 50 amp service and 70+ channel cable TV. There are clean restrooms and laundry facilities,. The free wireless Internet is available all over the park. There is also a pool for kids. Most of the campsites are shady, so you can relax in the cool summer breeze all day long. TH RV Park offers also sites for tents. 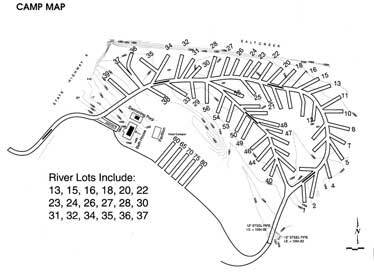 Victorian Acres RV Park has 94 Sites, some with full hook-ups some with water and electric connections only (30/50 amp connections are available). The camp has wi-fi internet, clean restrooms and showers, full size kitchen, dining area, club house for camping club use, coin operated washer and dryers, game machine, vending machine and more. And for those missing the nature – it offers 26 acres of beautiful green areas. For those wanting to explore the area there is the Historic Nebraska City located very close to the RV Park. Omaha is also not far so you can enjoy the College World Series, concerts at the Qwest Center or you can go on a boat cruise on the Missouri River. Fishing is possible in nearby lakes. Whether you want to cool off in the swimming pool or simply watch some great shows on a big screen TV, Pine Grove RV Park is a good place to stop and rest during your travel. It has free Wifi, sparkling swimming pool and a lodge with wide screen TV and great movies. On the site there are also: large playground for kids, sand volleyball court, tennis court and horseshoe pits. There is an exercise room as well, so if you want to stay fit, enjoy it! Some of the local attraction are the Lincoln Children's Museum, Downtown Lincoln, Homestead National Monument, Museum of Nebraska History, International Quilt Study Center and more. 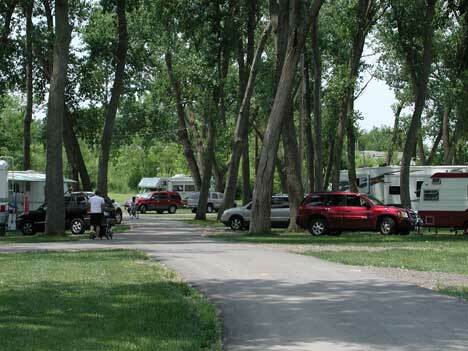 Prairie Oasis RV Park is small with lots of green space and trees. The park has 40 gravel pull-thru, big rig friendly sites with 30 or 50 amp full-hookups. There are BBQ grills, picnic tables, and fire pits as well, so you can spend lovely evenings outside with delicious food and nice company of family and friends. The camp also offers free wi-fi, very clean restrooms and showers, laundry room, recreation hall with seating for more than 50 people and groceries. The dump station is available for RVs. Since Nebraska is known for tornadoes, at the park there is an underground storm shelter for your safety. Swimming and fishing is possible in the area. With a directory of campgrounds: tent and RV camping parks Nebraska (NE) you can find campgrounds that suit your needs. In some areas, you can rent a pop up camper or a motor home so you can spend some time outdoors. Visit the world’s largest coffee pot or the UFO water tower. If you need to get out of the motorhome trailer or any recreational vehicle, sleep in the Union Pacific Caboose. Find a beach camp or look at the mobile home and RV parks around the area. Select a campground from the directory of campgrounds: tent and RV camping parks Nebraska (NE) and enjoy the outdoors while visiting some attractions in the area. Campgrounds offer different types of facilities and activities. Some even host gathering of other camping enthusiasts such as the Apache or Coleman owners groups.